Applicant: Masunaga Optical Mfg. Co.,Ltd. Designer: Ouzak Design + Masunaga Optical Mfg. Co.,Ltd. 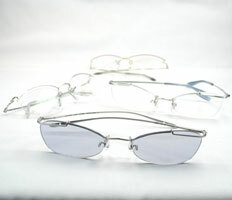 This is a simple, anti-tension eyeglass frame which is affixed to each lens at only one point. The unique fixing method absorbs the stress that is applied to the rim when the glasses are put on, and since there is no distortion of the actual lens, there is no change at all in the distance between the pupils of both eyes. In addition, the curve from the front to the temple, which holds the lens in place, provides a comfortable fit. We liked this design not only for its achievement of simple, beautiful styling with a completely new structure but also for its groundbreaking improvement in fit, its solution of medical problems, and its innovation in eyewear design. Designer: hiroaki yokoyama, research and development group, snow peak, inc. This is a white gasoline stove used for cooking outdoors. In order to eliminate a problem that has long plagued gasoline stoves, namely, the need for preheating before ignition, the company has developed and adopted the world's first instant ignition system. In this market, gas cartridge stoves have almost all the market share, due to their ease of handling, despite the fact that they produce a large amount of waste. However, the introduction of this product is expected to increase the number of users of gasoline stoves. We gave this design our approval not only for the expected functions of good fuel consumption performance and portability, but also for the willingness of a manufacturer of outdoor products to find out what products should be developed and to take the considerable amount of time required to create a superior product. Applicant: MEGABASS GENERAL BAITS INC. Designer: MEGABASS GENERAL BAITS INC. This is a set of fishing lures designed with the Japanese fishing environment in mind. The lures, each of which is intended for a different purpose, were looked at in terms of what concerns needed to be dealt with, and detailed improvements were made, with careful attention to all the problems that had to be solved. 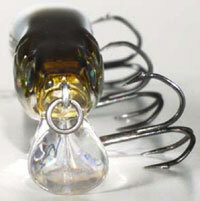 The result was suggestion for a new type of lure, one that could make fishing even more attractive. We gave this company high marks for its continuously uncompromising stance on workmanship, resulting in the creation of beautiful, highly reliable lures. Applicant: STUDIO DEL SOLE INC. Designer: MAKOTO SUDO, PRESIDENT, STUDIO DEL SOLE INC. 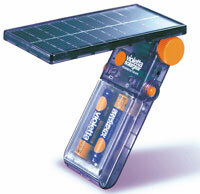 This is a solar battery that can generate electricity while being carried around. It offers superior functionality in many areas, including wide applicability to a variety of mobile devices, the highest level of generating efficiency, and a high degree of shock resistance. At the same time, efforts have been made to ensure the kind of ease of use that will let users generate electricity with little effort. The honest, beautiful shape of the solar battery makes it a joy to carry around, and it finally provides a practical link between solar batteries and everyday life, a link that has previously been difficult to create, despite the long history of solar technology. The company has provided a convenient, economical, and enjoyable product that belies the air of stoicism and oppression that usually attaches to such merchandise. Copyright(c) 1995-2006 Japan Institute of Design Promotion All rights reserved.